Product prices and availability are accurate as of 2019-03-26 21:19:47 EDT and are subject to change. Any price and availability information displayed on http://www.amazon.com/ at the time of purchase will apply to the purchase of this product. The NextLED 350 Lumens Rechargeable COB LED Work Light is built high quality cast aluminum frame which can withstand heavy impact. It is rated for 12 hours of work time at 50% power, and 2.5 hours at full power. The rotatable lamp head and 15Lb magnetic base allow you to work under tight and narrow space. The 40 chip COB LED array allows for light density up to 850% more than SMD LED's while consuming less power. 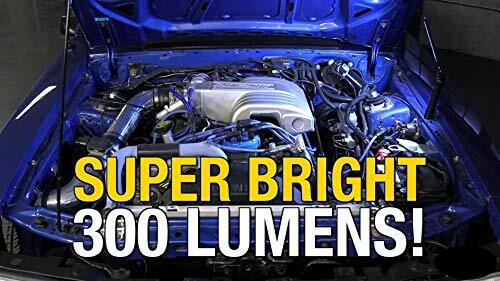 This light is externally and internally designed for harsh conditions and dirty envionments. 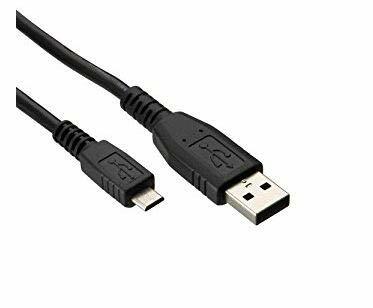 It is USB rechargeable and is built with a lithium ion 2200 mAh battery that has a charge time of 4 hours (based on 1A). Includes overcharge protection and auto idle mode. 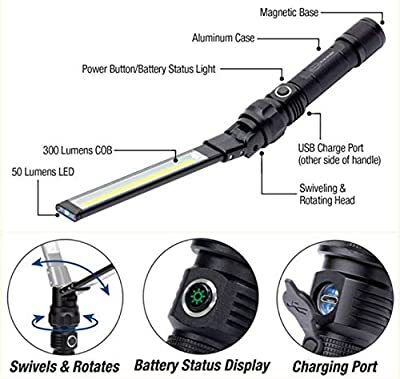 Super Bright Magnetic Rechargeable Work Light: 3 Modes of Brightness available, you can adjust between 50-150-300 Lumen, which gives you 24 hours run time at 50 lumens, 12 hrs run time at 150 lumens, and 2.5 hrs run time at 350 lumens. 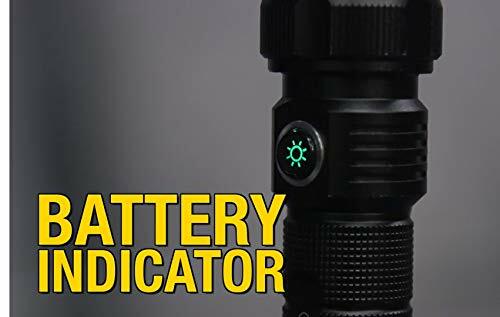 Rechargeable Light Fast Charging Battery: Includes Rechargeable 3.7V 2200 mAh Li-ion battery with battery indicator green (High)/Red (Low) battery power. The package includes a fast charging USB cable, you charge up your battery in just 4 hours. Stong Magnetic Base and Water Proof: Ultra strong 15LB magnetic base enables you to work hands free under most circumstances. 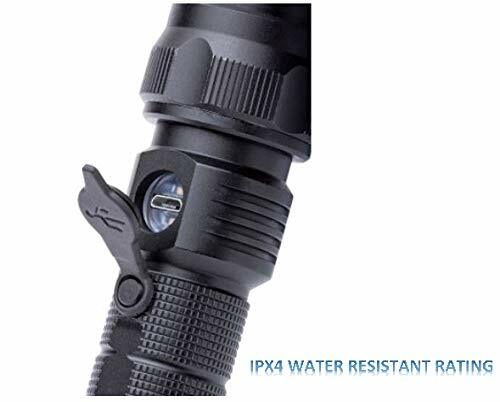 IPX4 Water Proof rating, allows you to work in both indoor and outdoor location. Rotateable Head Lamp and Base: You can rotate your head lamp 180 degree both horizontally and vertically. 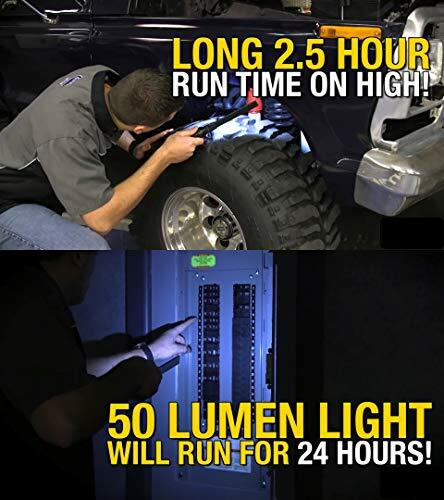 Hassel Free Gurantee: NextLED offering free one year maintenance to all our products.